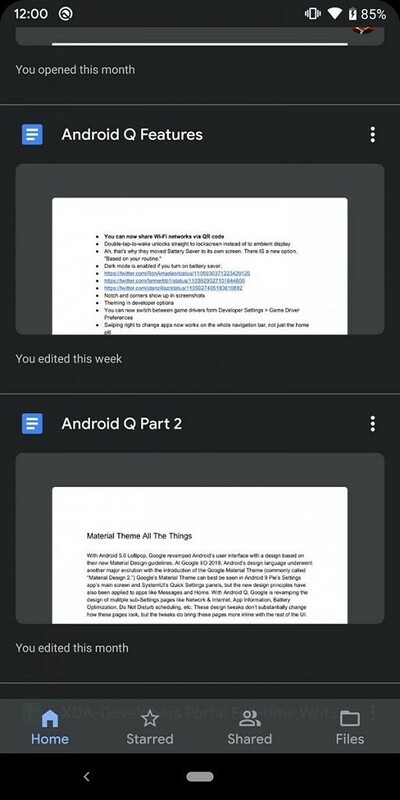 Although Google made no mention of a system-wide dark theme in their blog post for the first Android Q beta, it’s no secret to us that it’s coming. 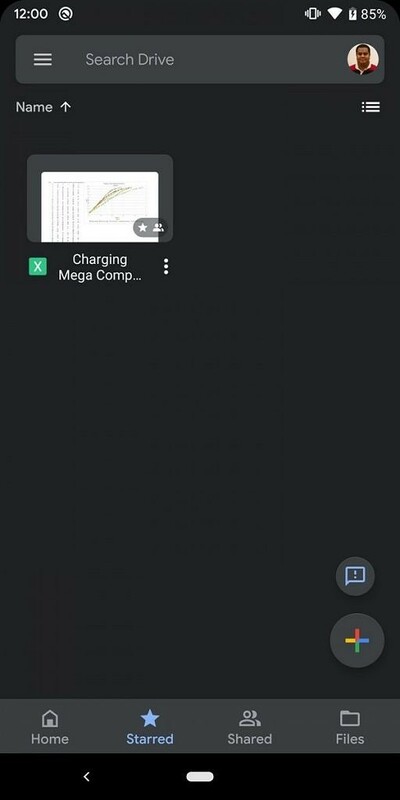 The first Android Q beta lets you enable the dark theme by either turning on battery saver or accessing a hidden preference via ADB. 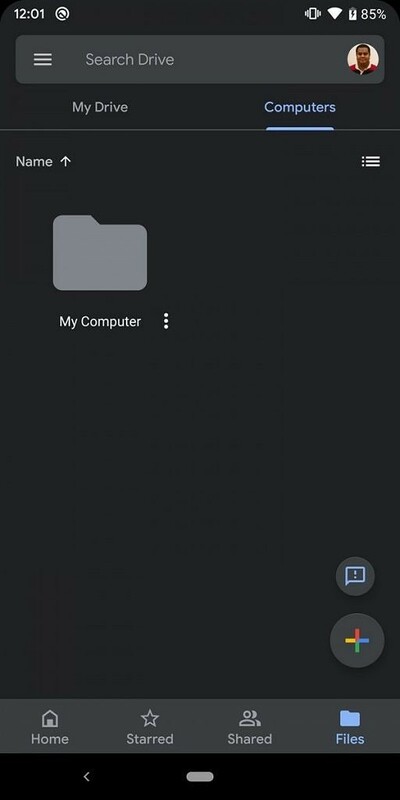 If you have Android Q’s dark mode enabled and the latest version of the Google Drive app for Android with a hidden flag enabled, then you’ll be able to see Google Drive’s hidden dark mode. This was brought to our attention by Kieron Quinn, also known on our forums as XDA Recognized Developer Quinny899. 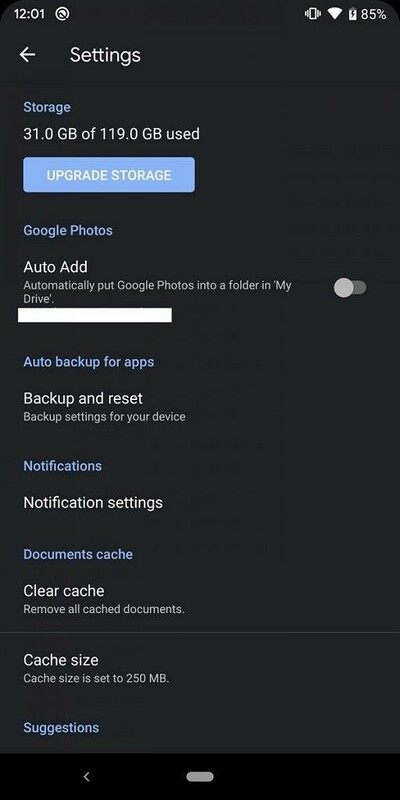 You can see screenshots of Drive’s new dark mode below. As you can see, the dark mode doesn’t change much from the base Material Theme redesign of the Google Drive Android app that began rolling out this week. The background in the home, starred, shared, and files tabs are all dark gray. Documents remain their original color, however. Right now, there’s no toggle in Drive’s settings to turn on or off the dark mode. That may be added in a future release along with tweaks to the dark theme. 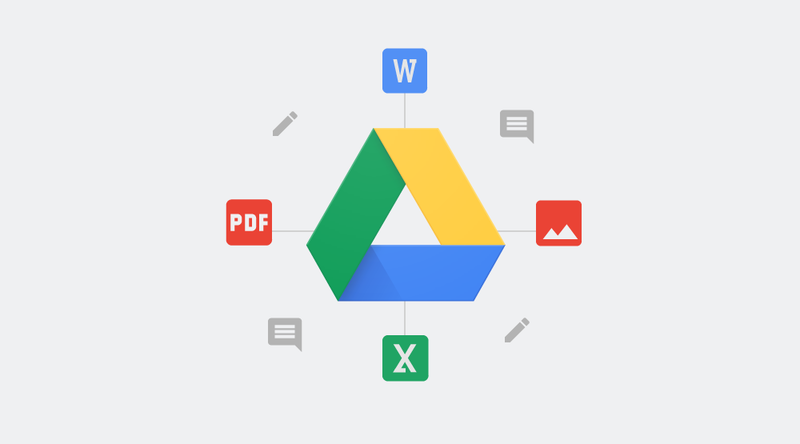 The Drive app will join Google Chrome, Google Phone, Google Contacts, Messages, Google News, Google Play Games, YouTube, and more Google apps with built-in dark modes. You can download the latest Google Drive Android release from the Google Play Store button below or from APKMirror. Once Drive’s new dark mode becomes broadly accessible, we’ll update this article to let you know.